Common Problem: Are You Listening To Customers Or Just Waiting To Talk? When Should You Use Open-Ended Questions? Turn Questions Into Commitments To Buy Now! What Is Your Experience With Price? How Do Kitchen Table Budgets Affect Price? Does The Buying Process Override Cheap Pricing? What Is Closing? What's The Best Question? When Should You Close? Kitchen Table Budget: What's A KTB & Why Should You Care? If You Still Have An Objection – Then CRIC It! What's Your Goal In The Delivery? Who Is Your Used Car / Pre-Owned Buyer Today? What's Your REAL POTENTIAL Selling Pre-Owned Vehicles Today? Now It's Time To Make The Car The STAR & SELL IT! Where's The Best Place To Close The Sale? Just How Important Is Unsold Follow Up To Your Income? What Is An Unsold Prospect & Why Does Follow Up Work? They're Back: Deliver It Now! How Do Your Phone Skills Control Your Success In Sales? How Many Sales Calls Do You Really Get Each Month? What Are The Biggest Mistakes Made On Calls That Cost Salespeople Money? What's Their Purpose & When Should You Use Open-Ended Questions? What Should You Do Right After The Call? But What About The Tough Phone Prospects? Why Should I Care About Retention? What Is ‘Your' Goal On The Delivery? Why Do I Need To Track? What Are The Steps To Tracking? What's Your Vision? What Are You Trying To Accomplish? Your Checklist: Which Skills Can You Improve To Sell More? How can I increase my closing ratio fast? Where is the pot of gold in my dealership? What's the quick & easy way to get referrals? How can I get more people on the lot asking for ‘me'? Why prospecting and follow up matter to ‘you'! How do I make sure people buy from me next time? Why Do Goal Setters Earn More Money? What Mistakes Do Salespeople Make Setting Goals? Why Should You Make A “Never-Ending” Goal List? How do I get organized so I can sell more? A few simple habits that will explode your earnings! Who are the best people to call? What is the most important hour of my day? What story do my numbers tell me? What Should I Do At Work Each Day? Can You Control The Sales Process? What's The Best Way To Get Their Name? I'm New – What Should I Do? Which Is Best: A Service Walk Or A Service Presentation? What Are The Key Points Of Leasing? What Do You Mean "What Would You Do If You Were The Dealer"? Is 1/2 Of Something Really Better Than All Of Nothing? Is There An Easy Way To Sell From Stock? Where Do I Miss The Most Opportunities To Sell More? Is There An Easy Way To Build Rapport With Everyone? There Are So Many Skills You Need – How Do I 'Master' Selling? How Can I Manage My Activites More Effectively? Is There A Way To Prevent Buyer's Remorse? What Are The Biggest Mistakes Salesepeople Make With Product Knowledge? You Said There Are Rules To An Effective Demonstration – What Rules? How Can I Get Their Kids To Help Me Sell to Mom And Dad? What's The Best Way To Handle Their Trade-In When It Comes Up? What Are Some "Bad Luck" Things I Say That Cost Me Deals? Is There A Quick Question That Makes Them Want The Car More? It's Slow – Should I Get A Part-Time Job? How Do Some Salespeople Make The Big Bucks? Should I Change Dealerships Now And Then Or Stay In One Place? Should I Focus On Walk-In Customers Or Repeat Customers? What's The Quickest Way To Lose Sales? When Is It Better To Turn It? Should I Try To Focus On Selling The Vehicles I Like Most? What Do You Mean When You Say "Nothing Bad Happens"? What Can I Do To Guarantee My Long Term Success In This Business? How Can I Get Them More Excited About Wanting The Car? 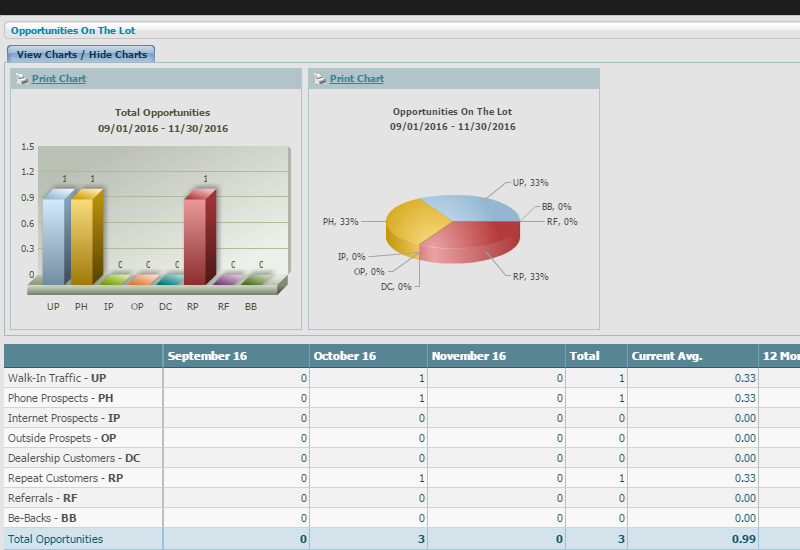 How Can I Find My Prospect's Hot Buttons? Should You Use "And" or "But"? You Say "Triple Your Sales" – But Is That Really Possible? What Do You Mean ... "100 = 57"? Aren't Most Customers Pretty Tough In Real Life? What Do You Mean "Speed Kills Selling"? How Can I Use Goals To Develop Better Habits? What Do You Mean "Sell On Your Feet"? What Are The "30 Car Accounts" You Refer To? Can You Explain The Buying Process? 'Good' Vs. Being 'Prepared' – Doesn't Being Good Mean You're Prepared? What Is A "Master List" And How Do You Use It? What Is The Most Productive Thing I Can Do To Sell More? Do You Ever Get A 2nd Chance To Make A Good 1st Impression? What Can I Talk About With A Customer? What Do I Do Right After The Greeting? How Do Some Top Salespeople Work 8 to 5 – Isn't It 'Ding to Dong' Everywhere? Does The Process Change Based On Who You're With? What Do You Do When You're Already The Best? Can't You Skip Some Steps In Real Life? If They Came To Buy – How Come They Don't? When Should We Use 'Open' End Questions? How Can I Control The Selling Process? How Can I Close The Sale "One Question At A Time"? What Do You Mean By "The Big Bucks Are In The Small Details"? When Do You Stop Building Rapport? Do I Need A Custom Presentation? Follow Up: What's My First Step? Who Do Your Friends Buy Their Vehicles From? Easy Or Tough? It's Your Choice! Session 10 - What To Do When They Say "No"
Session 11 - Turn "NO" On The Lot Into "YES"
Joe, it’s been one year since I stepped off the oil fields and into the car business. Thank you and thanks to my store for believing in the value of your training. I focused on the Core 4 Selling Skills on JVTN® for the first 2 weeks of my training. I was relentless in my pursuit to get better and took over 100 chapters in that time frame, and I continue to train daily. If it wasn’t for JVTN® and your new basics selling process, I wouldn’t be able to continually sharpen my skills, increase my units, and my income. With JVTN® I went from 8 cars to 10 to 13 to 16 and then to my best month at 20 units after attending your closing and negotiation workshop. Joe, I was #5 in units in our group of 15 stores. I was #1 in gross and I doubled the gross of #2. You truly have taught me how to work smarter not harder, my customers love me, my deals are easier, and the sky is the limit! Hello Joe, I just wanted to take a minute to say thanks for another Incredible Year. As a group, the Murray group believes in training 100% and last year we were up 30% in new car sales and our used car sales were up 53%. We send all of our managers to the managers and sales workshops and all salespeople to the sales workshops and most have been to the Closing and Negotiation workshop as well. Many of them have been multiple times. Why? Because it just plain works. You can never stop learning and you have to keep evolving if you want to stay ahead of the competition. The consistency of the message when going through your New Basics sales process is what everyone needs to stay on track and keep growing, and JVTN® provides that to myself and my team to always keep us fresh and always gives me new topics to train on. I recently attended your Train The Trainer workshop, and I’ve got to say it really got me out of my comfort zone and changed my perspective on what effective training really looks like. After that class, I now approach my meetings with a solid plan, and I understand that if I want to get them excited about any topic we cover, I need to tune in to their station (What’s In It For Them), and if my training doesn’t include the ‘how to’, it’s of no value to them. My meetings have gotten easier, they have been way more effective and the involvement during the meetings has gone up 10-fold. My salespeople are having more fun, closing more deals and making more money and most importantly – more and more of our customers are happy! Thanks again for providing everything a dealership needs to be a success in today’s ever-changing market! 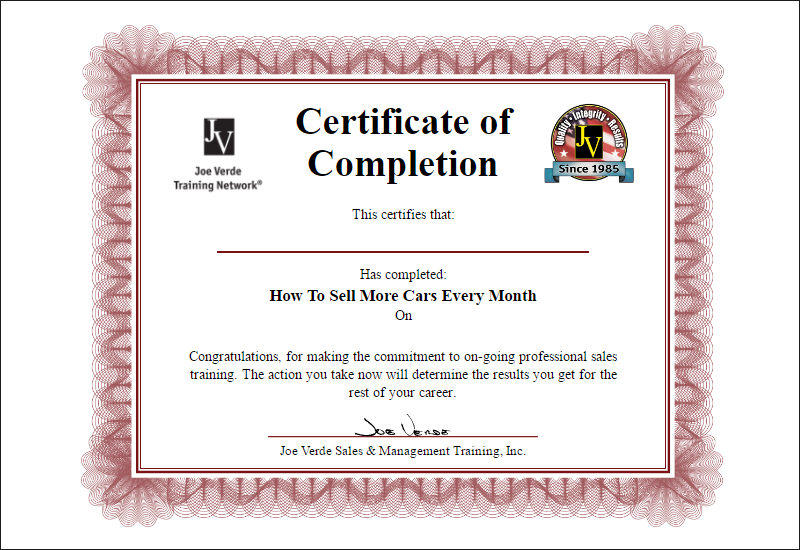 Joe, I have been in the car business for 4 years and your online training on JVTN® has been a career saver. Prior to having JVTN®, I was trained like most others; there’s the new car lot and there’s the used car lot. It was basically survival. I was selling 7 cars and not making a lot of money. After taking your courses on JVTN®, I’m selling 15 units and have increased my earnings substantially. 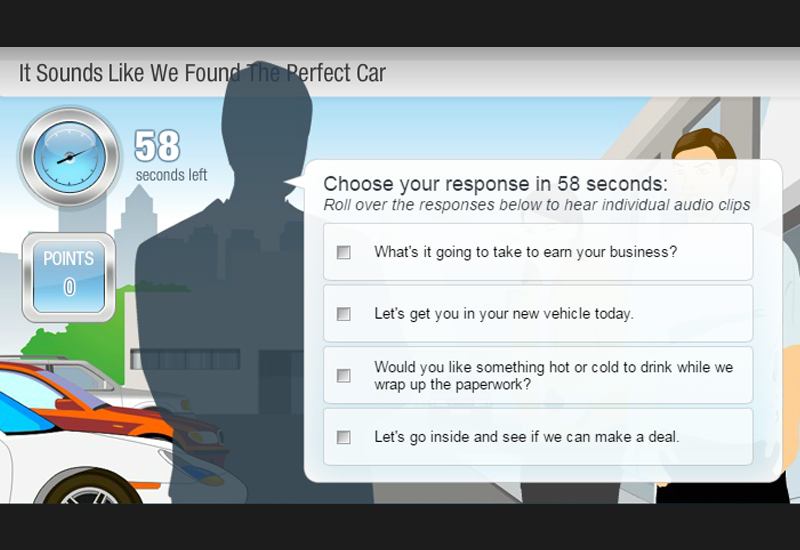 Your 8-step sales process has made it so easy to be a success in the car business. Basically, it’s follow the process every single time and you will not fail. Thanks again, for doing the hard part, and figuring out a process that truly works. My Salespeople Can Play "Games" On JVTN®? You'd normally say "no way" to salespeople playing games at work. But with JVTN®, you want your salespeople playing our training games so they practice on our virtual customers - instead of on your floor traffic. "I Don't Have Time To Baby-Sit Training." 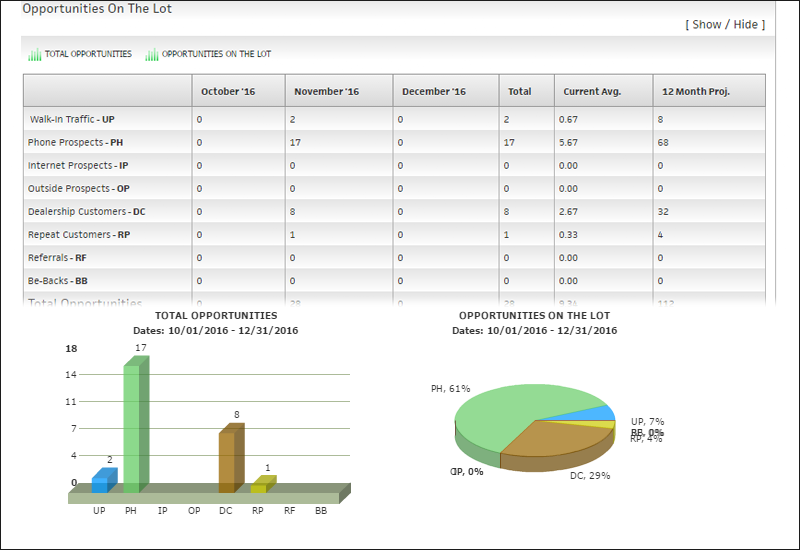 Our goal with JVTN®... Training Reports is to make your job managing training easy. Now you'll have up to the minute - complete live reports on every training chapter. Everything you need to know to manage your sales team's daily training. If you knew everything your salespeople did each day, could you have more control over their activities and results? 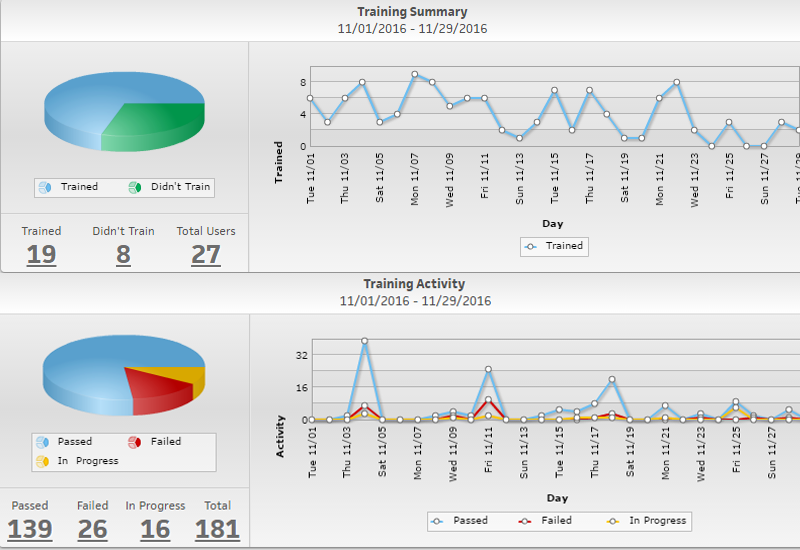 In less than 3 minutes per day of your manager's time, JVTN® will show you exactly the 'targeted training' each of your salespeople needs to improve. 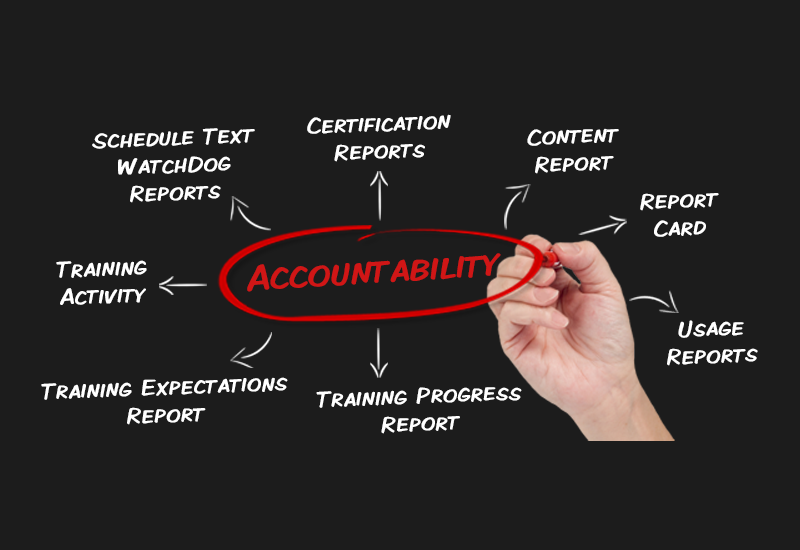 JVTN® will do the heavy lifting for you if you'll just do one thing in these areas: Require your salespeople to complete a training series, and pass each one with a 90% or higher score. JVTN® includes Joe's copyrighted & trademarked VSA® for every salesperson. The best part: JVTN® will also teach them how to follow up & prospect in today's market! Learn more about the Joe Verde Training Network® to increase unit sales, raise your gross profit PVR, take new hires into high achievers and boost your CSI...Send a message below, call or email us today!